We should shrink the alliance’s budget and ambitions and focus on the greatest threat to the West: economic crisis. For much of the post–cold war era, NATO has been a military alliance in search of a reason to exist. When ministers from the alliance’s twenty-eight member nations meet in Chicago in May, the question Why NATO? will once again hang over the proceedings. For the past decade, Afghanistan has been the principal mission of the alliance, with America’s NATO allies supplying more than 30,000 troops to the war effort there. With that engagement beginning to wind down, now is the right time to ask what kind of NATO—if any—we need. The alliance has twice been reinvented since the Berlin Wall came down in 1989. In the decade after the cold war, membership in or partnership with NATO was seen as a way to stabilize the transitional nations of Central and Eastern Europe, including the Balkans. “NATO 3.0,” as US Permanent Representative Ivo Daalder calls it, expanded the alliance’s mission far beyond Europe, remaking it into a quasi‑global-security and crisis-management organization with partnerships beyond its core members. 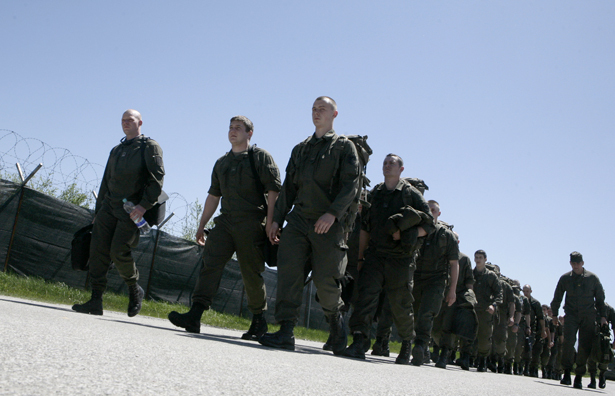 In each case, NATO’s efforts to redefine its mission have done great harm. Extending membership to Central and Eastern Europe may have helped pull those nations toward the West, but it also alienated Russia and deepened divisions in Ukraine and the Caucasus. NATO’s involvement in Afghanistan has enabled the United States to distribute some of the war’s burdens to its allies, thus helping to prolong the military presence beyond the original mission of destroying Al Qaeda. This has stoked anti-Western sentiment and diverted precious European resources from other international development efforts. In theory, a NATO that pooled Europe’s and America’s political and military resources and acted only on UN Security Council authorization could be a useful part of the world’s security architecture. But the globalized NATO that has emerged over the past decade is inherently flawed. Despite efforts to retrofit the alliance for the security challenges of the twenty-first century, it remains a US-dominated organization and has more often than not enabled the American tendency to act unilaterally, without international legal approval. The simple facts are that most of the challenges to Western security are not military in nature or subject to a military solution—and that a heavy Western military footprint outside NATO territory usually creates more problems than it solves. And yet the alliance continues to absorb a disproportionate amount of resources and diplomatic energies. Just compare, for example, the enormous expenditure on the war in Afghanistan and even the intervention in Libya with the trifling amount of economic and developmental aid that NATO countries have been willing to give Egypt and Tunisia since the uprisings there. As laid out by Ambassador Daalder, one of the American objectives at the Chicago summit is to ensure that NATO members maintain their military capabilities during this era of deep recession. At a time when austerity programs are gutting essential social services in Europe and the United States, it’s hard to imagine a more misguided objective. A far better goal is to shrink NATO’s military budget and global ambitions so that US and European leaders can focus on the greatest threat to Western peace and prosperity since World War II: an economic crisis that threatens to destroy the social welfare state. A broad coalition of activists (see natoprotest.org) will be converging on Chicago to hold teach-ins, direct-action training and a Counter Summit for Peace and Prosperity in pursuit of just that goal. Europe and the United States have much work to do together, but it is not policing places that don’t want Western military intervention. It is to carry out a recovery and reforms that will create jobs and offer the next generation a better future.